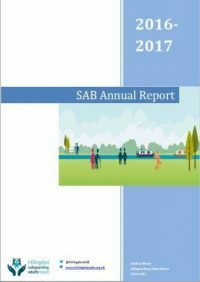 Hillingdon SAB produces an Annual Report and a two year Business Plan which are available to view here. Hillingdon SAB’s Annual Report is produced in accordance with the Care Act 2014, which requires all Safeguarding Adult Boards to produce and publish an Annual Report on the effectiveness of the arrangements in place for safeguarding adults in the local area. Hillingdon SAB’s Business Plan is a clear work programme that includes measurable objectives and is informed by national & local agendas, and key priorities that were identified by the Hillingdon SAB. The Hillingdon SAB produces a 2 year Business Plan which is refreshed annually. This strategic plan represents the first three-year strategy for the adult safeguarding board since the in-depth independent review of safeguarding adults in Hillingdon undertaken in January 2015 and the introduction of the Care Act and its associated regulations in April 2015. 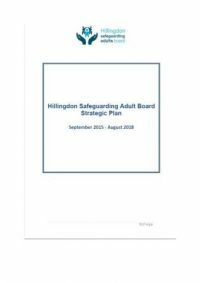 It is an important document that provides details on how the Safeguarding Adult Board in the Borough of Hillingdon will move forward and what it will concentrate its efforts on over the next three years.